A Bluelips Exclusive! Designed for just us our own candy lips. These non collagen treated lips are almost as big as Melanie Griffiths, but taste good. They are 6 inches by 2 inches and come in a meat tray. 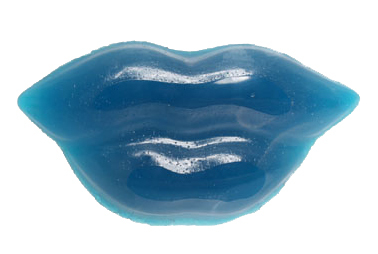 And they are blue raspberry flavored, too! After a fun run with this product we've decided to retire it.